NEWSFLASH! 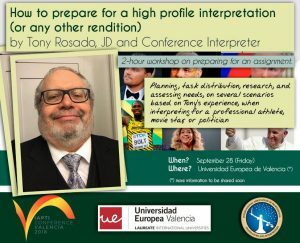 The day before the conference (September 28) IAPTI is offering three top-notch ***free*** workshops at the Universidad Europea de Valencia for those who have registered for the conference during the Early Bird period when registration opens. I would like to sign up for Gary Smith’s workshop – “Freelance business management”. Hi! 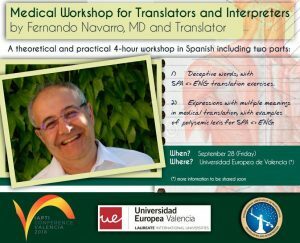 Please send an email to spainconference@iapti.org to sign up!